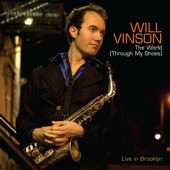 Originally from London, Alto Saxophonist/Composer Will Vinson moved to New York City in 1999, and has remained there ever since. Since his arrival, he has appeared and/or recorded with Mike Stern, Ingrid Jensen, Chris Potter, Geoff Keezer, Lage Lund, Ari Hoenig, John Benitez, Seamus Blake, Vincent Herring, Alan Ferber, Victor Lewis, Ron Affif, Aaron Parks, Daphnis Prieto, and many others. Will is a member of a number of leading New York ensembles, including drummer Ari Hoenig’s Quartet (Will features on Inversations, Ari’s CD on the Dreyfuss label), trombonist Alan Ferber’s nonet (2 CD’s out, Scenes from an Exit Row and The Compass on the Fresh Sound New Talent label), Thelonius Monk Competition winner Lage Lund’s Quintet and Pedro Giraudo’s Mr. Vivo, an Argentine Jazz ensemble with 3 CD’s under it’s belt. Will has an international reputation as a leader and sideman. 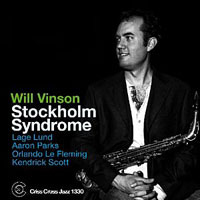 All About Jazz New York describes Will as playing “with a relentless force”. After a performance at the Pizza Express Soho in London, Jack Massarik (London Evening Standard) described Will as the thinking man's alto saxophonist... Britain's Greg Osby, and John Fordham of the Guardian described a superb solo of rugged leathery sounds turning into mellifluous high notes, his secure control and storming energy occasionally reminiscent of Bobby Watson. Time Out London calls will an exciting young altoist”. Will has released 2 CD’s as a leader/composer. It’s For You (Sirocco Jazz, 2004) was described as “combining a thoughtful originality of conception with energy and fluidity of execution in very satisfying proportions” (Jazzwise magazine), and “an auspicious debut, an album that is as mature in its conception as it is in its execution” (All About Jazz New York). Will’s newly released CD, Promises (NineteenEight Records), has already been described as “impressive” and “coolly restrained” by Nate Chinen of the New York Times. Will has appeared with his own group and as a sideman in the USA, Canada, the UK, France, Germany, Norway, Sweden, Denmark, Italy, Spain, Ireland, Portugal, The Netherlands, Belgium, Austria, Switzerland, Australia and Japan. His musical experience has not been limited to Jazz. Will is a member of Rufus Wainwright’s band, which toured for 10 months in 2007/8. He has also performed and/or recorded with Sufjan Stevens, Sean Lennon, Martha Wainwright, Beth Orton and Harper Simon. Will's saxophone playing is executed with incredible power and dramatic sensitivity, and is characterized by his imposing sound and technique; influenced by saxophonists from Cannonball to Chris Potter, he nevertheless brings his own unique approach to every performance. 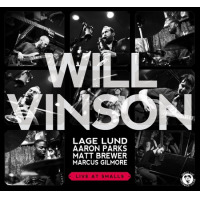 Will's writing, and the playing of his colleagues, combines a great respect for the century-long jazz tradition with explorations into the rhythmic, harmonic and melodic realms of contemporary forms. 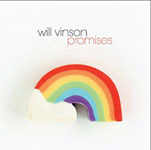 Will’s latest CD, Promises, was released on April 3rd. It features Lage Lund and Aaron Parks. 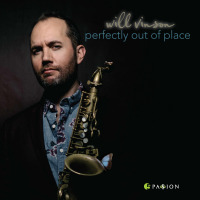 Saxophonist/Composer Will Vinson To Release "Perfectly Out Of Place"
Saxophonist Will Vinson Interviewed at All About Jazz...And More! All About Jazz musician pages are maintained by musicians, publicists and trusted members like you. Interested? 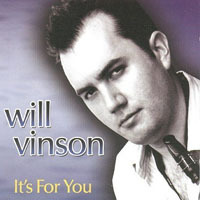 Tell us why you would like to improve the Will Vinson musician page.